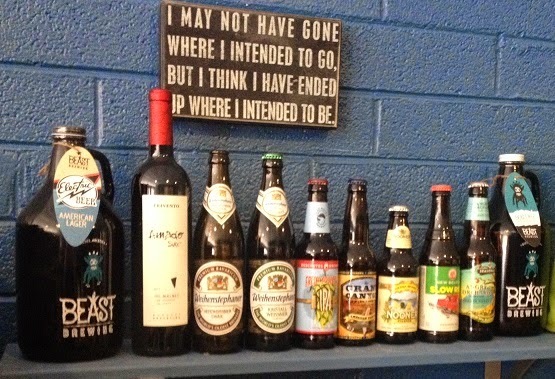 Hoppin' Grapes presents: A Week of Wine! 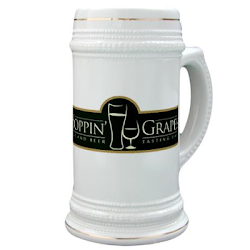 Here are some of the great events mid-April at Hoppin' Grapes! Come visit us at 409 West Fry BLVD in Sunny Sierra Vista, Arizona. We are just outside of the main gate of Fort Huachuca across from Landmark Cafe. Buy tickets to these great events at our store location. To buy online at our website, Click Here! 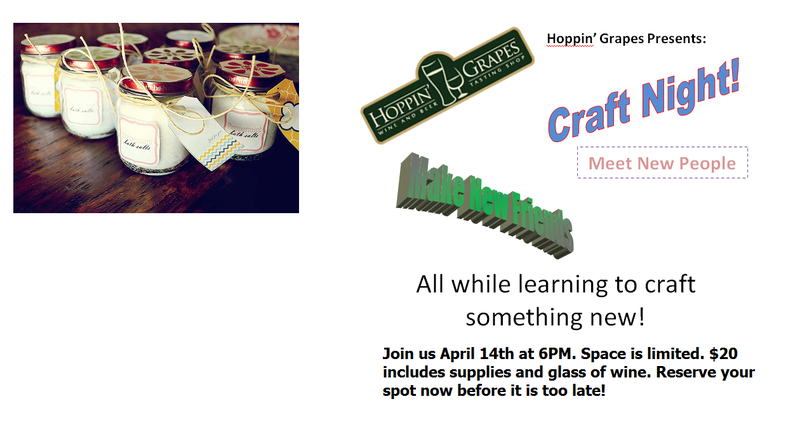 What: Craft Night - Make your own bath salts!When: April 14th at 6PMWhere: Hoppin' Grapes Wine and Beer Tasting ShopCost: $20 includes a glass of wineWho: You and your friends! Space is limited to just 20 people so sign up and pay now to guarantee your seat! 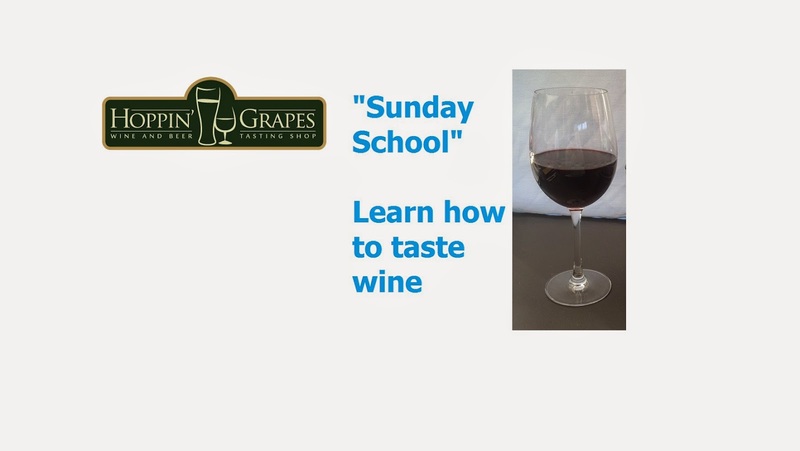 Reserve your spot today by stopping in or calling 520-338-WINE or to buy online at our website, Click Here! Here is more from Janetta Richardson, doTERRA Wellness Advocate and presenter of this event: "This class is an introduction to using doTERRA Essential Oils in making bath salts.. Participants will also learn about our Essential Oils. What they are, how they work, and how to use them in your daily lives. This is an interactive and informative workshop where you will learn to make your own bath salts using doTERRA's Essential Oils. You will get to take the bath salts you make home with you. You will have your choice of Lemon, Lavender and Peppermint. Taught by Janetta Richardson, doTERRA Wellness Advocate. This class will offer an introduction into the world of essential oils." It's time for Date Night Wednesday! 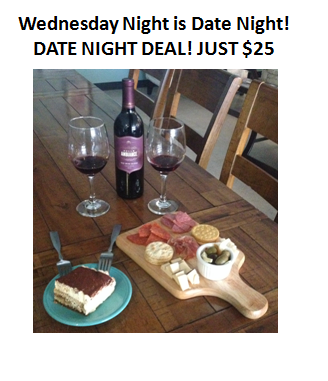 Our Date Night Deal at Hoppin' Grapes includes: One bottle of wine*, meat and cheese plate, and dessert. All for just $25 (tax included). Girls, grab your guys! Guys, grab your girls and get them where they want to be, at the 'Grapes with you! *includes any wine priced $13 or less. Deal available from 4-8 PM. 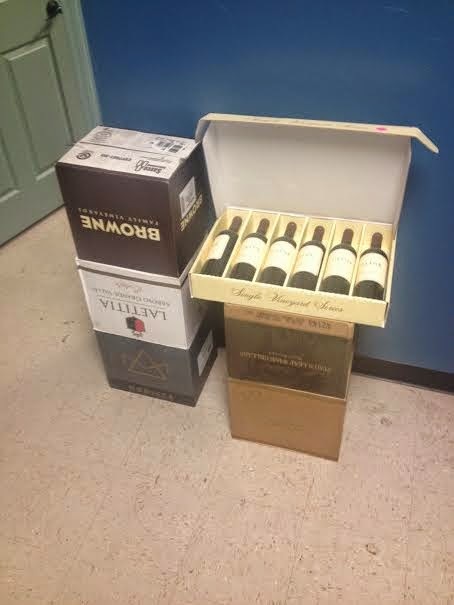 We currently have 15 different wines in our store priced $13 or less. 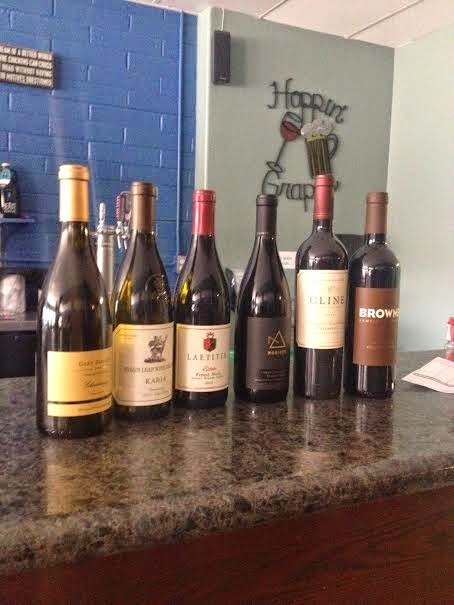 Special Wine Tasting (90+ Rated Wines) April 16th at 6:30 PM. Limited seats so BUY NOW! Join us as we sample some of the best wines in the industry (Pictured). These are the top dogs and their bark is as big as their bite. $15 is the cost, which includes six wines to taste. Space is limited, so sign up and pay now to guarantee your seat! Reserve your spot today by stopping in or calling 520-338-WINE or to buy online at our website, Click Here! Special Event of your favorite 80's tunes. 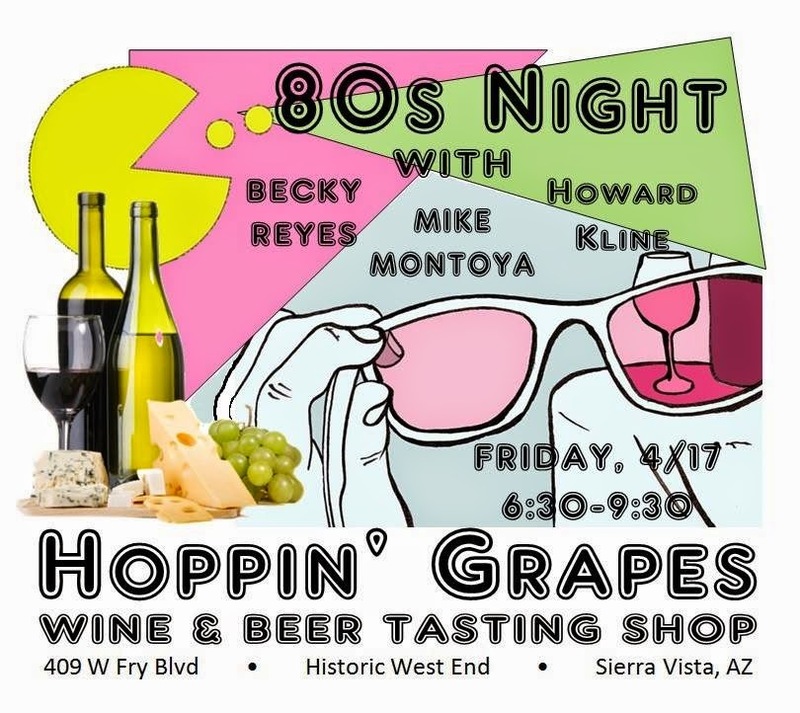 Dress up like your are still living in the 80's and you could win prizes including: $25 gift card to Fandango, "Sunday School Tickets", or a $10 gift certificate to Hoppin' Grapes! No cover charge! Becky Reyes will be here playing tunes LIVE! Love Live Music? Come out and support local music, local business, and local attitude. Come out and support us at Right Arm Night on Fort Huachuca. Tess and Mike will be there giving away great prizes at the Thunder Mountain Activity Center (TMAC) on Fort Huachuca. Great event, great people, great prizes!